A Mississippi worker is suing a Louisiana marine outfit, alleging negligence in connection with an offshore slip and fall accident that he says damaged his spine. Cornelious Tyrone Peters of Marion County, Miss., filed a lawsuit July 20 against Harvey Gulf International Marine of Galliano, La., in U.S. District Court Eastern District of Louisiana, alleging premises negligence and general unseaworthiness of the vessel to which he was assigned in 2014. According to the complaint, Peters was employed by North American Shipbuilding Inc. as a fuel rigger at the port of Fourchon. On July 20, 2014, the suit states, Peters was preparing to refuel a marine vessel when he slipped on oil and water on the deck, fell and sustained back injuries. The suit says the plaintiff was unable to return to work due to bulging lumbar discs, and his injuries are the direct and proximate result of the defendant’s negligence. 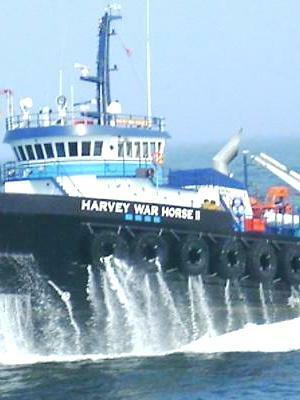 The lawsuit states Harvey Gulf International was in breach of duty to provide reasonable care, a safe work environment with non-skid surfaces, training, supervision and adequate personnel. The plaintiff alleges pain and suffering, lost wages and earning capacity, and medical expenses. Peters seeks special, general, exemplary and punitive damages, attorney fees, expenses and court costs. He is represented by attorneys Timothy Falcon, Jeremiah Sprague, Jarrett Falcon and Juan Obregon of the Falcon Law Firm in Marrero. U.S. District Court Eastern District of Louisiana case number 2:15-cv-02804-MLCF-JCW.